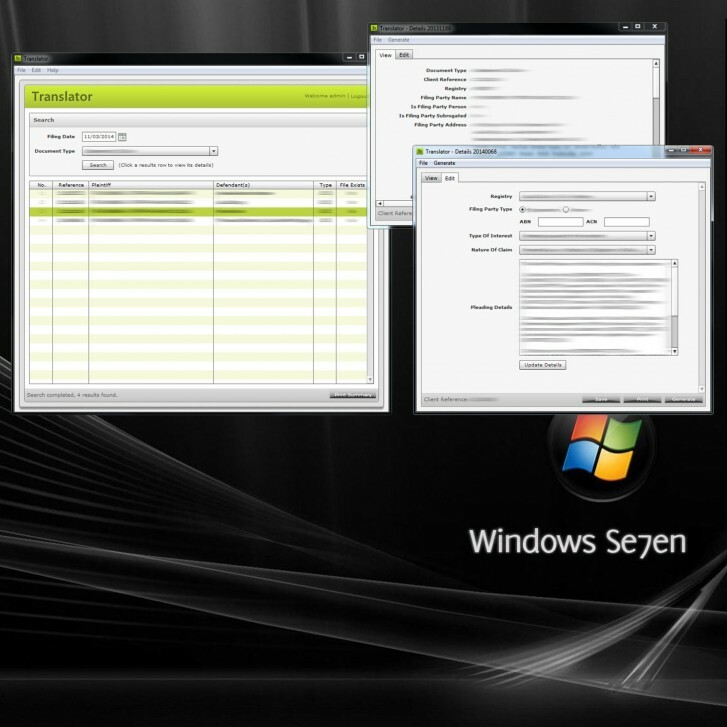 System analysis and a custom, multi-user desktop application for a specialist law firm in Sydney's CBD. With offices in Sydney's CBD, North Sydney and the Western Suburbs, a successful law firm approached Net Grow with the need to take their manual method of document filing online. The NSW Government had already set a cutoff date for all manual counter based processing. Net Grow met this tight deadline with a robust, fully digital solution, providing much needed features their other legacy systems could not. Facing a complex situation of needing to migrate from a manual method of filing claims to submitting them all online, this Law firm came to Net Grow and got an application built to meet their exact needs; which fully solved the problem. After a deep investigation of their current systems and what was needed, we created an app which generated all of the documents to the precise standards of JusticeLink NSW. Lawlink NSW is hosted by the Department of Police and Justice. A government portal website to law and justice agencies in New South Wales. 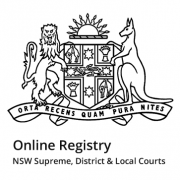 Lawlink NSW is the umbrella site to more than 40 law and justice agencies including the eServices portal for the electronic filing of XML documents. Once a user has logged in, Translator provides a search facility (below) which connects to this company's internal servers via a Microsoft API we programmed. Searches can be made for numerous document types, all based on date; fetching the results from their Microsoft SQL Server database. 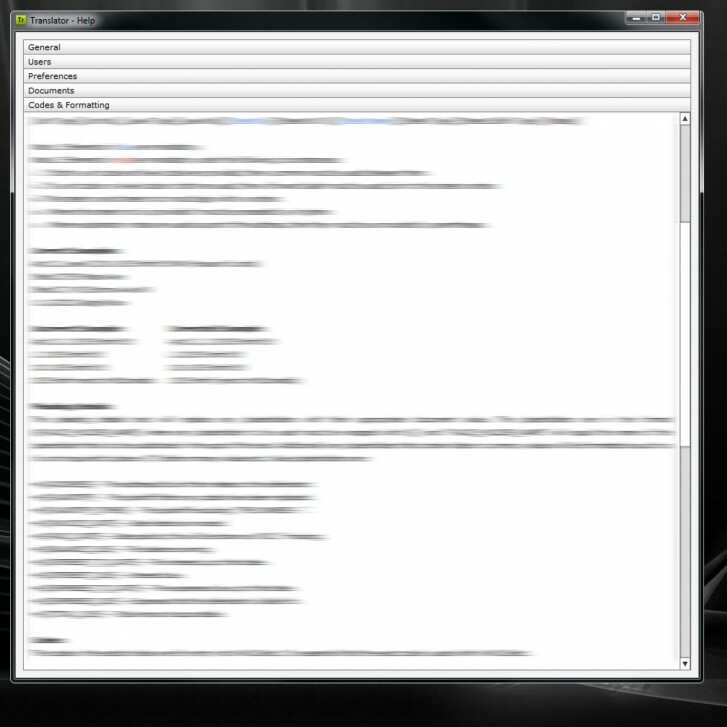 For each result found a check is made against the user's file system to locate if its genereated XML docs already exist, providing this feedback to the user. 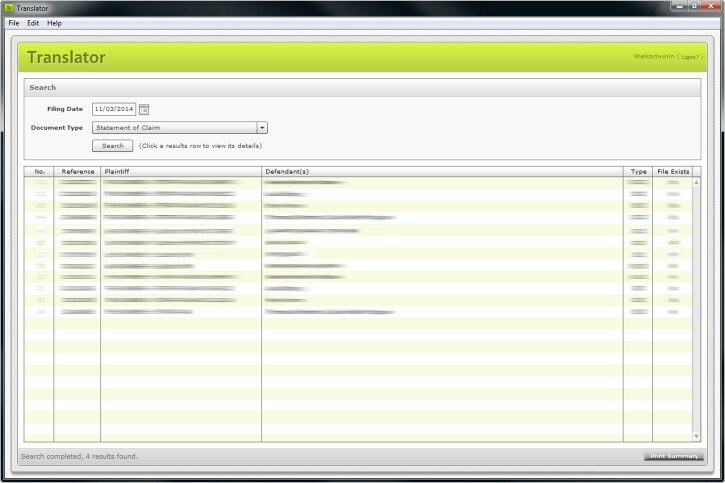 Depending on the permissions that the currently logged in user has, they will have different document types available. 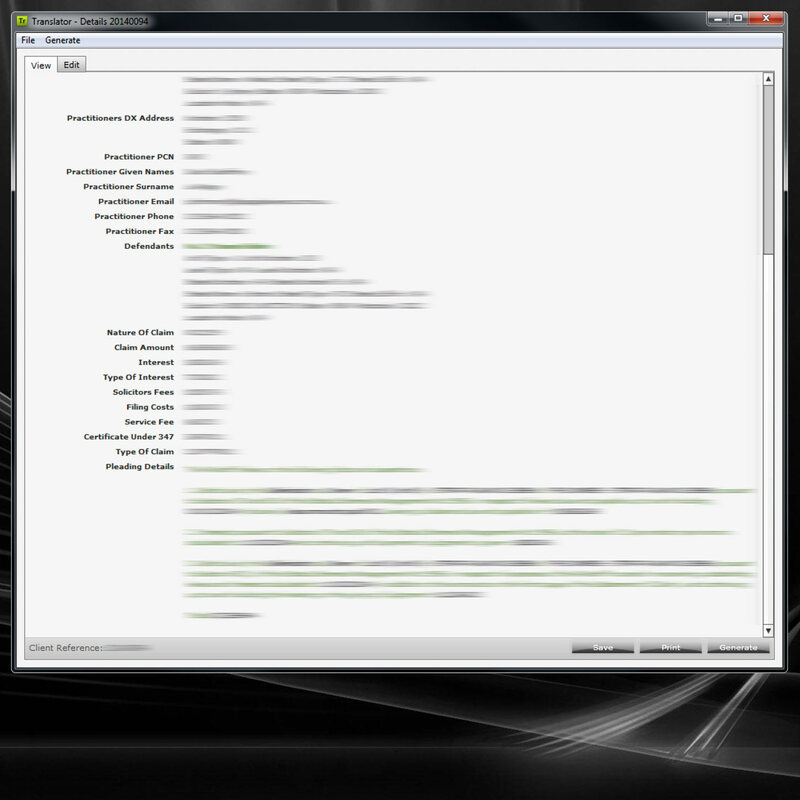 If the user is allowed to edit/view details then they can launch as many details windows as required (left). The Translator app required an expert understaning of XML, XSD & XSL to ensure that each document type generated validated perfectly when submitted. The problem faced was the need for far more information to be provided to the NSW Courts when delivering documents, than had previously been required when submitting them over the counter. The developers of the systems already in place could not make sense of the structure which was needed and were having difficulty altering their software to accommodate the additional fields & information eServices requested. 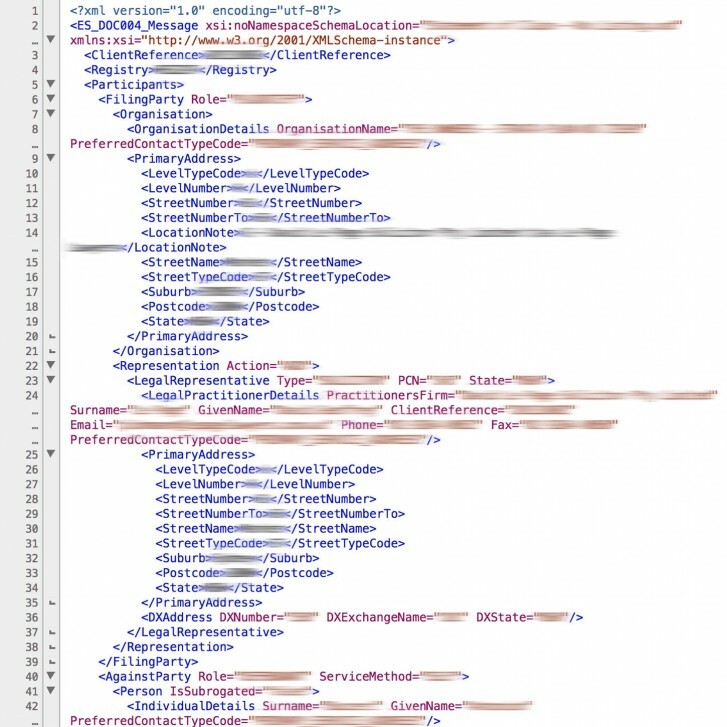 Translator gave a means to add all this extra data, print summaries/details and most importantly; generate & validate each type of XML document (right) againsts its XSD counterpart. With many of the XSDs 10,000s lines long, we nonetheless perfected the document generation and havn't had one file rejected by Lawlink's API since launch. Net Grow planned Translator from the beginning to provide permission based, simulataneous multi-user access. This ensured that sensative data relating to debt collection, affidavits, writs & court judgements are all kept secure. Additionally Translator was built to allow easy updating of additional documents using strict OOP & MVC techniques. When a new version is released the versioning system easily replaces the old software; preserving all user preferences in the process. 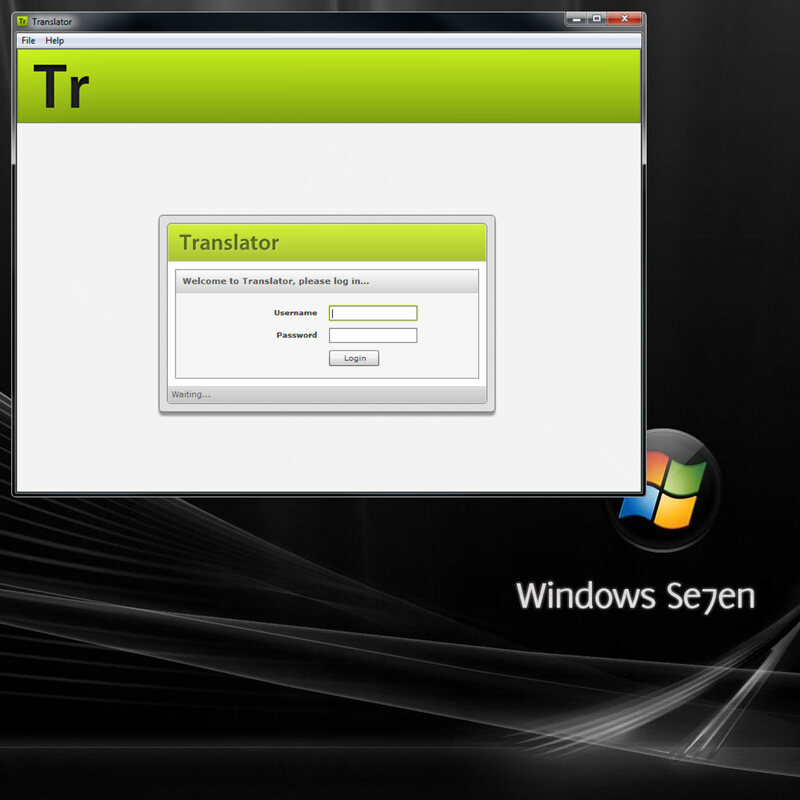 Translator is a distributed desktop application built for a Sydney City law firm. 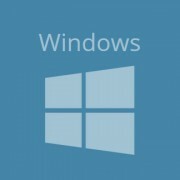 It can be installed on Windows, Mac OS or Linux machines and it operates on data from their internal database package via an API built by Net Grow. 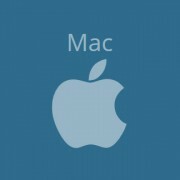 By connecting to their secure VPN it can operate on any computer, whether in their offices or offsite. And we can't do anything but praise it!